This article is about the generic structure class. For the specific chemical of this name, see ethenone. General formula for a ketene. 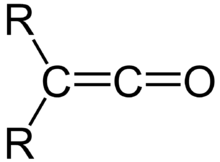 A ketene is an organic compound of the form R′R″C=C=O. 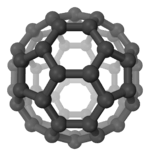 The term is also used specifically to mean ethenone, the simplest ketene, where R′ and R″ are hydrogen atoms. Ketenes were first studied as a class by Hermann Staudinger. This reaction is called the Schmidlin ketene synthesis. In this reaction, a base, usually triethylamine, removes the acidic proton alpha to the carbonyl group, inducing the formation of the carbon-carbon double bond and the loss of a chloride ion. Ketenes can also be formed from α-diazoketones by Wolff rearrangement. Another way to generate ketenes is through flash vacuum thermolysis with 2-pyridylamines. Plug and Werdup developed a method in 1997 that improved on FVT reactions to produce ketenes with a stable FVT that is moisture insensitive, using mild conditions (480 °C). The N-pyridylamines are prepared via a condensation with R-malonates with N-amino(pyridene) and DCC as the solvent. Ketenes are generally very reactive, and participate in various cycloadditions. They will also undergo [2+2] cycloaddition reactions with electron-rich alkynes to form cyclobutenones, or carbonyl groups to form beta-lactones. With imines beta-lactams are formed. This is the Staudinger synthesis, a facile route to this important class of compounds. With acetone, ketene reacts to give Isopropenyl acetate. Reactions between diols (HO−R−OH) and bis-ketenes (O=C=CH−R′−CH=C=O) yield polyesters with a repeat unit of (−O−R−O−CO−R′−CO). 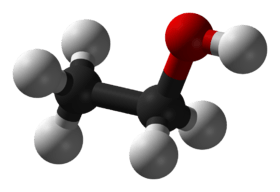 Ethyl acetoacetate, a very important starting material in organic synthesis, can be prepared using a diketene in reaction with ethanol. They directly form ethyl acetoacetate, and the yield is high when carried out under controlled circumstances; this method is therefore used industrially. ↑ Hermann Staudinger (1905). "Ketene, eine neue Körperklasse" [Ketenes, a new class of substances]. Berichte der deutschen chemischen Gesellschaft. 38 (2): 1735–1739. doi:10.1002/cber.19050380283. ↑ Julius Schmidlin and Maximilian Bergman (1910) "Darstellung des Ketens aus Aceton" (Preparation of ketene from acetone), Berichte der deutschen chemischen Gesellschaft, 43 (3) : 2821-2823.